Fruity, refreshing cocktails go so well with many of my summer activities like sitting around for extended hours at the pool or watching kids ride bikes up and down the street. We also live in a beach town so that contributes to the summer cocktail vibe. 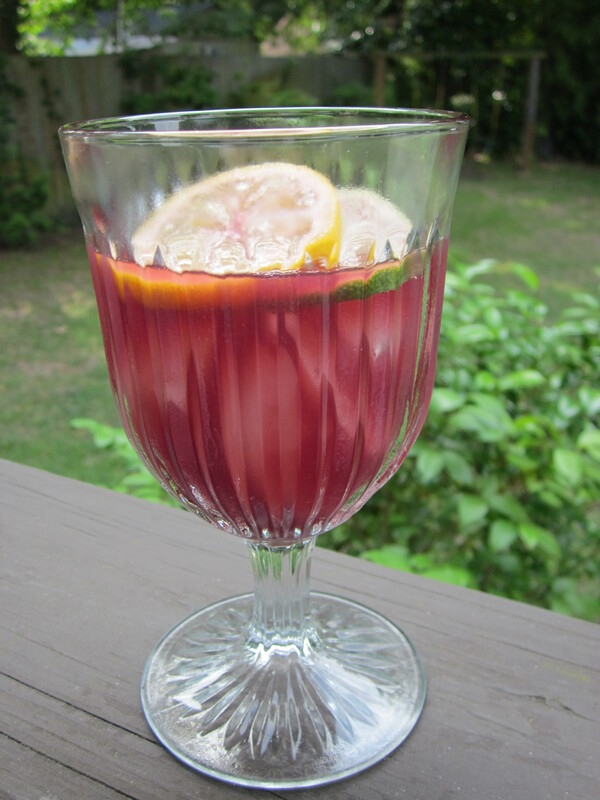 I rarely drink wine, but I will drink sangria. 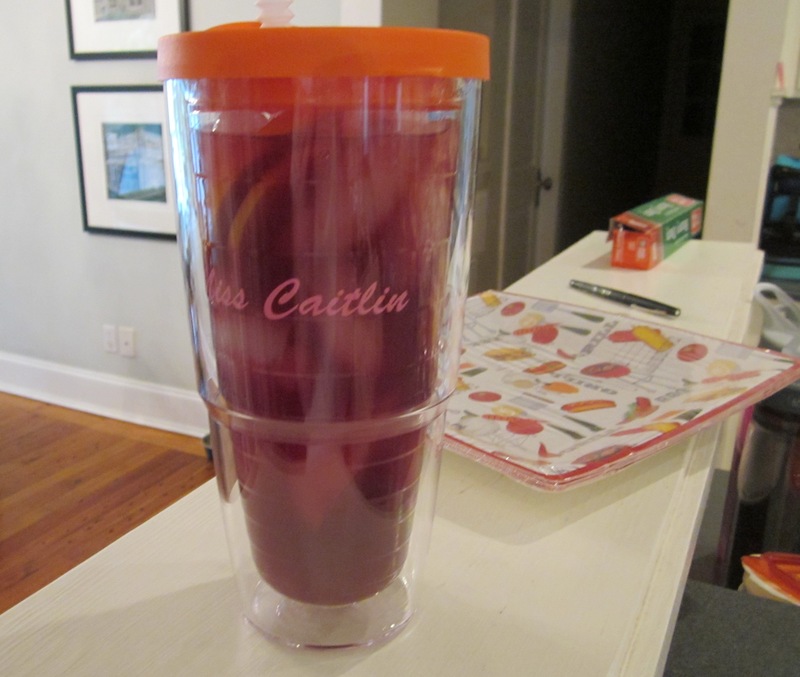 To kick off the summer season, I made a pitcher of sangria. My recipe has the fruit steep in rum for several hours before adding the wine, but I have seen recipes that use brandy and/or triple sec. Chill fruit, rum, wine, orange juice, and club soda. 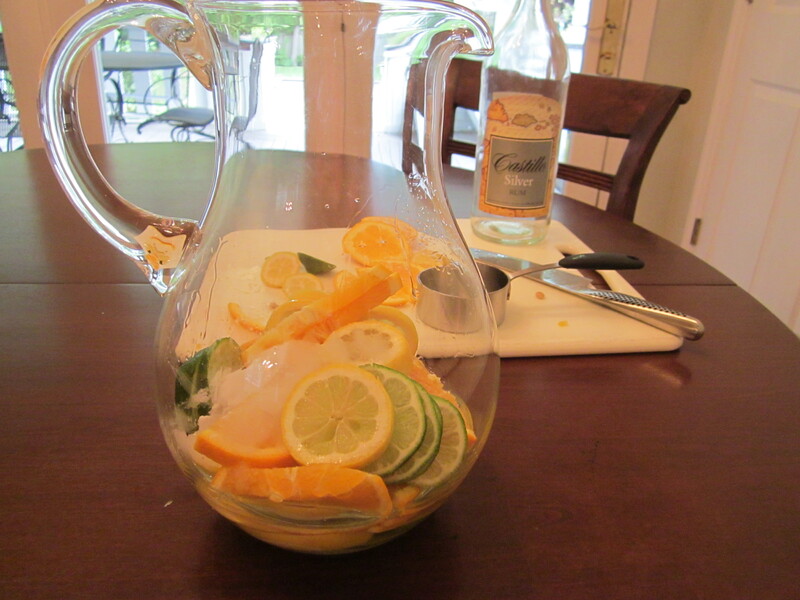 Slice the lemon, lime, and orange into thin rounds and place in a large glass pitcher. Add the sugar and rum and stir until sugar starts to dissolve. Chill in refrigerator 2+ hours. 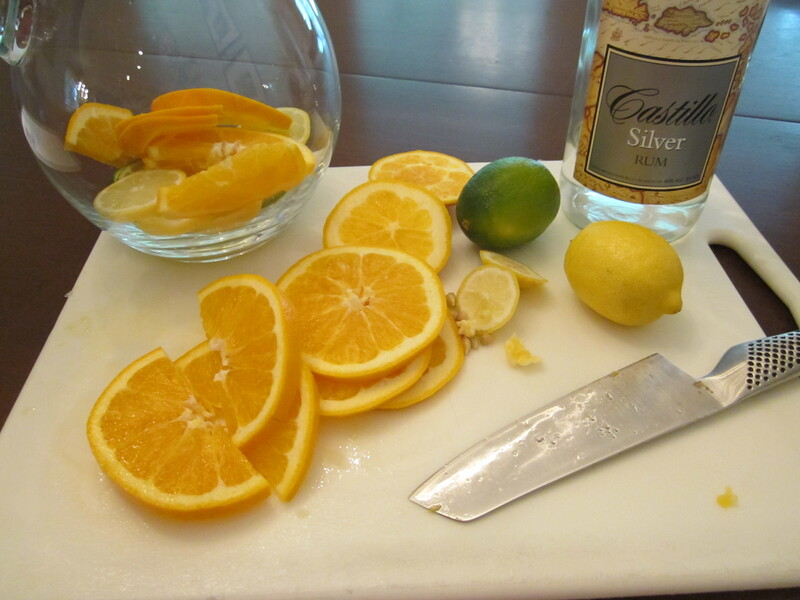 Crush the rum soaked fruit slightly with something like a wooden spoon and stir in wine and orange juice. When ready to serve, pour over ice leaving a little room at the top for a splash of club soda. Make sure to top with a few fruit slices. Since I don’t know how to pick out good wines, this is a good recipe for me because it is perfectly acceptable to use cheap red wine a la the sale aisle at the grocery store. Most recipes recommend Rioja, Pinot Noir, or Beaujolais. Try to remove seeds from the fruit slices before adding to the pitcher. 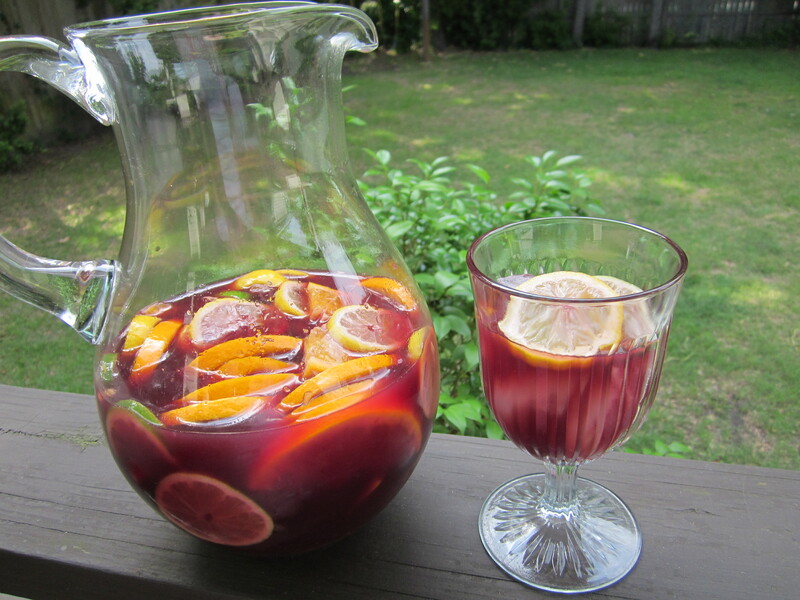 Sangria is easy to serve from those party beverage dispensers with a spigot, and it transports well in go-cups.